Eric Christopher is an innovative & respected BIZ consultant. He is the CEO of BizFamous and Local Business Rockstar. Did you know one of the most dangerous animals on the planet is the hippo? Yes! Statistically, hippos actually kill anywhere from 500 to 3,000 people every year, while sharks kill less than 1 person annually. 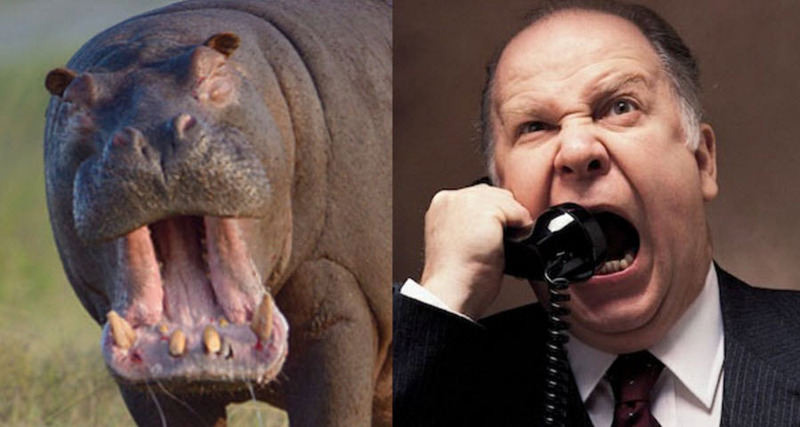 Sadly, there is a unique species of "HiPPO" that destroys the lives of thousands of people each year. This perilous beast also has the potential to kill any business nearly instantly. If you've been in business for a while, you've seen the damage a HiPPO - the Highest Paid Person's Opinion - can cause in a matter of minutes. Nobody is 100% certain who first muttered the term under their breath during an executive meeting, but the first confirmed "sighting" of the species on the World "Wild" Web was this email exchange between Avinash Kaushik and then Microsoft employee Ronny Kohavi. Encounters often unfold like this: you're in a business environment where there is a consensus of well-researched data, when a HiPPO comes trampling through, jaws agape, and tears that informed consensus limb from limb. Have you ever experienced the disappointment of having conducted focus groups, customer surveys, and extensive data analysis only to watch as a HiPPO brushes aside this precious information and overrides the expert consensus with brute force? Many good businesses and ideas have died an early death from the devastating effects of a hungry hungry HiPPO. That's why Ritvij Gautam is on a mission to kill wild HiPPOs. Since his company's inception a mere 18 months ago, Ritvij, or Rit, has methodically constructed a fine-tuned tranquilizer "dart" designed to calm and overcome a HiPPO's natural tendency to make irrational decisions. This new HiPPO killer is a "Software as a Service" (SaaS) company called TryMyUI. TryMyUI offers website usability services and usability testing software that empowers companies of all sizes to measure and improve the user experience of their websites and applications in a cost-efficient manner. In today's information age, people know what they want and like, and that's fostered a sense of consumer entitlement and a demand for instant gratification. With the increasing impatience of the online consumer and instant access to a variety of alternatives, it's easy for a company's website to lose the attention of its visitors quickly. With more businesses allocating their advertising dollars to digital marketing, social media, and website development over traditional channels like print and radio, the World Wide Web has become an intensely competitive space where the customer largely sits in the driver's seat, and can quickly research which products and services will best suit their needs. Consumers know what they want, and they want everything... NOW. How else can you explain the success of the Amazon Prime program, or the launch of the company's same-day delivery services in major cities? Caption: Google is already showing people's impatience with Amazon's same-day deliveries! Savvy companies and entrepreneurs are quickly realizing that they must do whatever they can to help their website visitors find what they want, do it fast, and have the best possible user experience. If companies can empower potential customers to save precious time and enjoy their website experience, they will likely see a significant increase in sales. The first challenge for the company is to tame the dangerous HiPPO, who frequently claims the website or application works well already and that there is no need to allocate resources to improve the user experience. The second challenge is to confront the actual, time consuming task of identifying and addressing the problems that do indeed plague the website or application. That is why businesses are now realizing the need to invest in user testing services and usability testing software. As Rit explains, people ranging from solopreneurs to C-Level Executives are looking for a competitive advantage to win the attention of people on the web, improve ROI on product development, and kill off the wild and power-hungry HiPPOs that run roughshod over solid market research and consumer feedback. Here's the full interview with Ritvij Gautam, covering the value of user testing and how TryMyUI.com has benefited small companies, like a woman who painted pictures of other people's pets, to large, household brands including Amazon, NBC Universal, Bose, and Priceline. He also provides a very brief tour of the system's user interface and the benefits that the software provides. When I asked Ritvij why more companies are not investing more in user testing, he responded that the analysis of the testing data requires a significant amount of time, time that most sprint/deadline driven companies struggle to optimize for. TryMyUI's culture is one of constant dedication to improving the usability data analytics process. They continually develops new tools and approaches for fitting the crucial research process into a collaborative, iterative and deadline driven design process. Collaborative Analytics suite with tags and timestamps to sort, categorize and share insights with the team. In the interview, Rit specifically referenced how web designers and developers have used TryMyUI as a means to overcome people's (HiPPOs'!) resistance to change by sharing user test videos, feedback, and visual reports. For example, TryMyUI's Diagnostics dashboard helps to visualize the pain points visitors experience when using the website; this often diffuses a subjective debate about a HiPPO's perception of a design element by offering an objective data set that points to real flaws with the design decision. It's crazy to think that a CEO, founder, or entrepreneur would give more value to their own opinion and judgement than that of their own customers, but according to this Harvard Business Review study, "more than one third of the respondents say their managers rely on judgment [instead of data] to make decisions." However, Ritvij believes usability testing will play an integral role in giving companies an advantage in the intensely competitive online world, giving as an example the story of how NBC Universal tested their own Access Hollywood website AND their competitor's websites. This provided them with key insights on how they could provide a superior user experience and win visitors' business. "essential to maximize the value of the marketing budget." For more information about TryMyUI, you can visit their user testing blog, or follow them on Twitter. Who else has had a "near-death" experience with a HiPPO? Do YOU have a HiPPO story to share? Share your worst "HiPPO attack" in the comments below!